The composition department provides a diverse and highly individualized foundation for students aspiring to build careers in composition with opportunities to create music for the stage, as well as collaborate with their fellow students in film, video and gaming. All new works composed by student composers receive workshops and performances by either students or professionals, and all are professionally recorded. Coursework involves a year of composition classes, including an introduction to electronic music. This is followed by private lessons in which students compose the program for their senior recital. 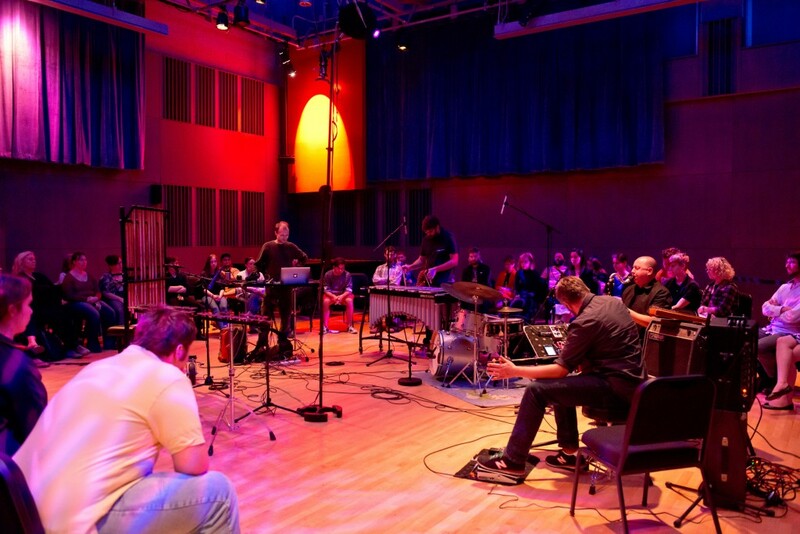 Most of the full-time faculty specialize in contemporary music performance, and collectively they have premiered thousands of works in their careers. They often mentor or coach performances of student composers’ pieces. The annual Livewire Festival of Contemporary Music is always a highlight of the year and features professional and student compositions. 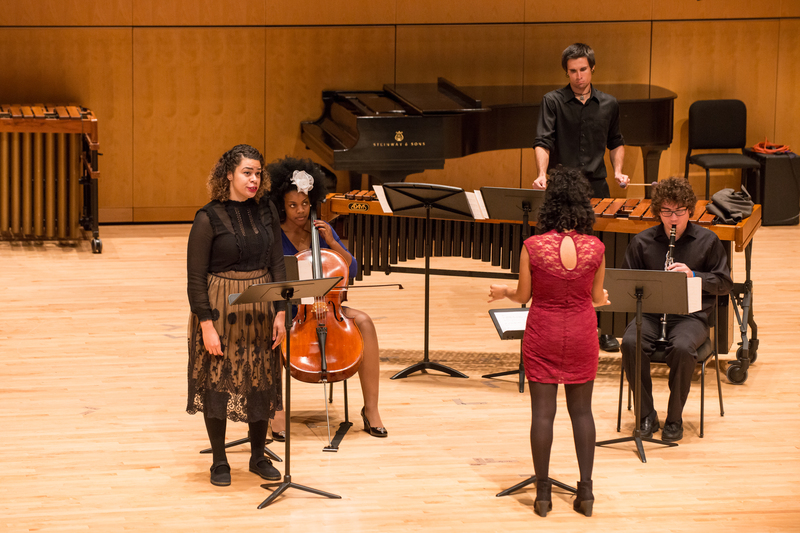 Composition students work collaboratively to produce concerts of their works at UMBC and learn practical entrepreneurial skills to promote their careers. Master classes with guest composers augment the curricula and give students a broad perspective on the rich and varied musical culture of the twenty-first century.